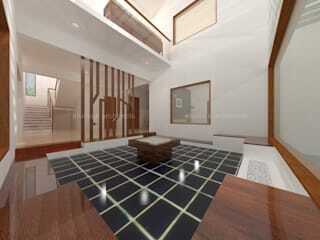 Studio K Architects is a contemporary architecture design ﬁrm based in Bangalore. 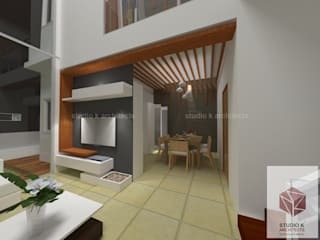 The ﬁrm offers professional architectural and design services with emphasis on providing clients with creative, viable and functional architectural and interior design solutions.It was founded in 2009 by Architect Santosh, a master’s graduate from TCAUP, Univ. of Michigan, USA. 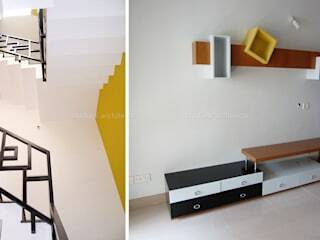 Santosh brings in 15 years of local and international experience in designing and handling projects of various scales ranging from art installations, furniture design, single-family residences to Hospitals and airports. Before heading to USA, Santosh was working in Bangalore both independently and collaboratively on Residential, Apartments and Commercial projects at award winning ﬁrms in Bangalore. In USA, he worked with Bates Masi Architects, Long Island and Skidmore Owings & Merill LLP, New York City.